Oklahoma Connection | Meinders began his American Floral Services company in Oklahoma City, Oklahoma, in 1970. Twenty-four years after his founding in a small garage apartment on Classen Boulevard in Oklahoma City, Herman Meinders’ innovative company had become the world’s largest flowers-by-wire service with some 23,000 member florists in 27,000 cities in the United States and Canada and 50,000 florists in foreign countries. Herman Meinders was born and raised in Minnesota and worked at the local J.C. Penney store during high school. He first attended Oklahoma City University then transferred to Florida Southern in search of a warmer climate. After money for tuition ran out, Meinders began working full time at a grocery store and later took a position as a salesman for the National Florist Directory in Indiana and began a life on the road. His success as a salesman led to a position with Florafax wire service, where he was named vice president of sales. He finally made the decision to open his own wire service and American Floral Services was born in Oklahoma City in 1970. Twenty-four years after its founding in a small garage apartment on Classen Boulevard, American Floral Services had become the world’s largest flowers-by-wire service with some 23,000 member florists in 27,000 cities in the United States and Canada and 50,000 florists in foreign countries. Meinders sold the company in 1994 but continued as a stockholder and member of the board of directors. 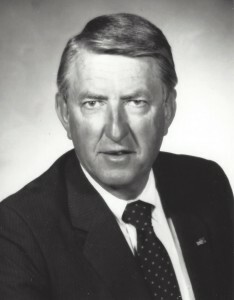 He has since devoted himself to a life of philanthropy, whose gifts have contributed to or created major projects including the Meinders Garden in downtown Oklahoma City, National Cowboy and Western Heritage Museum, Community Literacy Center, Oklahoma City University’s Meinders School of Business, which opened in 2004.